It’s been a long winter and that has brought on an extremely wet spring. You’ve waited and waited for your wet field to dry, but it hasn’t. Now weeds are starting to take up residence in your crops. Do you risk soil compaction by bringing your ag sprayer in to apply herbicides or keep holding out for better field conditions? There’s no easy answer, but there are times when weeds pose a greater threat than machinery tracks in your field. 1) Consider using different sprayer tires. “If you’re entering a wet field consider using flotation tires. You’ll need to choose between semi-floats, full-floats or duals,” said Jeremy Hurt, senior application specialist for Equipment Technologies. Flotation tires are usually rear-mounted, while semi- or full-floats are wider than conventional farm tires and spread the weight of the sprayer over a larger area to reduce compaction on the soil. Duals are twin sets of narrower tires mounted on the same axle — together they create a weight dispersion similar to floats. According to Michelin Operational Marketing Manager David Graden, Michelin has several agriculture tires to choose from with varying widths to fit your management system. Graden also stressed that as with any tire, the best results are seen at the proper air pressure. >> Need help finding your recommended tire pressure? Try the Michelin Pressure Calculator. Bottom line: Apache Sprayer owners have a variety of factory-installed options from both Michelin and Titan brands — ranging from a narrow 12.6-inch tire to a much wider 30.5-inch flotation tire. 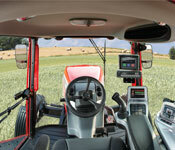 2) Ensure your ag sprayer’s wet system is fully functioning. Make sure your ag sprayer’s wet system is in top condition before entering a soggy field. This will minimize the time your machine is in the field by preventing the need for a respray in areas that received insufficient herbicide on previous passes. 3) Use a decisive attitude in the field. 4) Last but not least — own an Apache Sprayer. 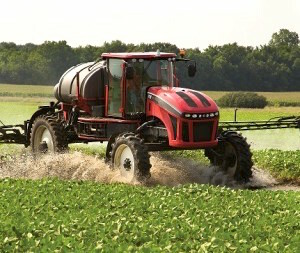 Compared to hydrostat-type sprayers, the lighter weight and mechanical drive of an Apache Sprayer will make them less likely to bog down in mud and cause subsequent soil compaction. With Apache’s unique construction, 70 percent of the sprayer’s weight resides over the rear tires while transferring 90 percent of its horsepower directly to the ground. >> Need more proof of Apache’s unmatched traction and Power-to-the-GroundTM technology? 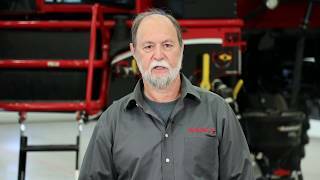 Check out the Apache YouTube channel for more testimonials and demo videos. This entry was posted in Ask the Application Specialists and tagged application, spray tips, weather, wet field. Bookmark the permalink. Follow any comments here with the RSS feed for this post. Trackbacks are closed, but you can post a comment.